This area was extremely troubled years ago. Immigration and the downtown renaissance have drastically changed it for the better. 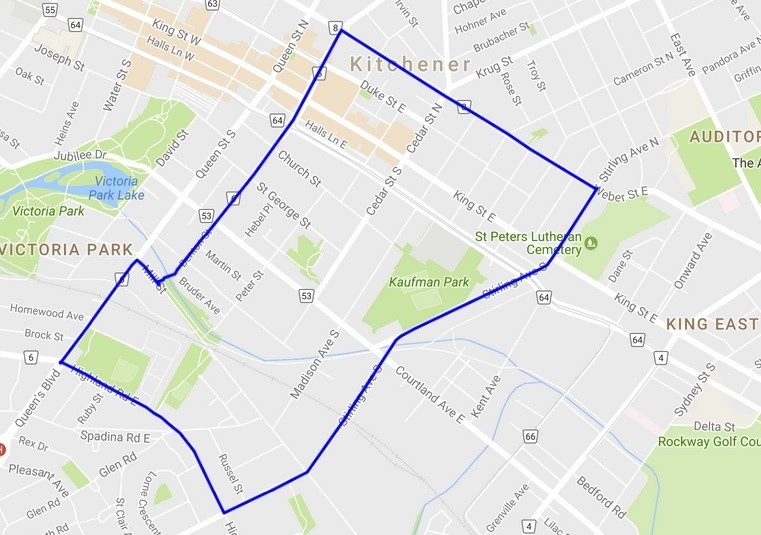 The north east is one of Kitchener’s oldest neighbourhoods located on and around quite high ground, giving it its name. Kitchener’s famous Farmers’ Market lives here. Several schools are in the area including Cameron Heights S.S. which has an International Baccalaureate Programme option for ambitious and bright students.